What do The Doors and Bambi have in common? Not much, it turns out—but their music was shaped by the same physical space. Namely, the echo chamber at Sunset Sound recording studio. 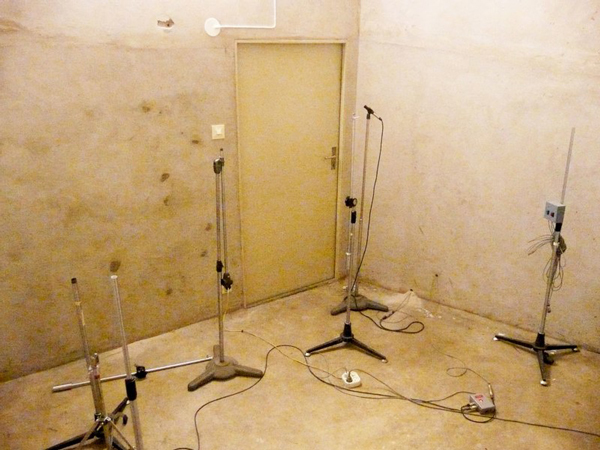 Before the abundance of reverb options made available by plates, springs, digital effects, and plugins, the only way to give recorded music an extra sense of space was to amplify vocals and instruments in a special room called an echo chamber, then mix the reverberant result back in with the dry recording. While the echo chamber's true origins are fuzzy, Universal Recording founder Bill Putnam is often credited with the first recorded use of artificial reverb. In 1947, Putnam used his Chicago studio's bathroom as a makeshift echo chamber on The Harmonicats' "Peg o' My Heart," an instrumental ballad from 1912 covered by a trio of harmonica players. How's that for an origin story? The Harmonicats - "Peg o' My Heart"
Before being supplanted by newfangled plate- and spring-based reverb devices, echo chambers saw peak usage in the 1950s and the 1960s (though of course some are still used to this day). During this golden era, the acoustical characteristics of these spaces played a critical role in defining the sound of countless popular songs. Because of this, many original echo chambers have retained a certain mystique—and the most famous of them are still used regularly, even in the current age of digital reverb. From the drafty attic of an old Midwestern house to a set of cavernous concrete bunkers buried underground, we've compiled a list of some of the world's most famous echo chambers (and the hit songs they brought to life). Note: while nearly any room can be used for re-amping, this article will focus solely on dedicated echo chambers that were (or still are) permanently wired up for the sole purpose of piping music into them. In 1958, Disney's director of recording, Tutti Camarata, proposed to Walt the idea of starting an in-house recording studio for film work. Legend has it that Disney responded by saying, "Why would I want to own a studio? I'd rather be a client." So Camarata took the reins as an entrepreneur. He found a disused auto shop on Sunset Boulevard in Los Angeles, which had been built with a sloping design toward one end to drain automobile fluids. Such a slope just happened to give it ideal acoustical properties as well. Disney was the studio's sole client for its first four years, during which time Sunset saw the recording of the soundtracks for Bambi, Mary Poppins, 101 Dalmatians, and other Disney projects. In 1962, Tutti opened the studio's doors to the public. Sunset's echo chambers are austere, strangely angled rooms painted in a glossy, off-white sheen. At the far end of Studio One's echo chamber sits a vintage Altec Lansing A7 "Voice of the Theatre" full-range speaker system, which has been used for playback in the chamber for most of its history. The Doors were one of Sunset's most high-profile clients in the late '60s. 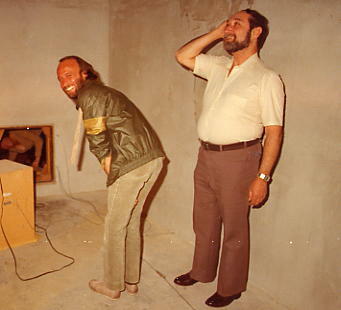 While recording their first two albums, The Doors' producer Paul A. Rothchild was especially fond of the studio's Studio One chamber, often tracking Jim Morrison's vocals through it live. Yet plenty of other rock and pop royalty put the chamber to good use there throughout the '60s and '70s, including The Rolling Stones, Joni Mitchell, and many more. The original Studio One echo chamber is still intact and in use today. London's Abbey Road is blessed with three uniquely different echo chambers. The most famous of these is attached to Studio Two. The chamber is a surprisingly small, tiled space accessed via a door under the stairs and equipped with moveable pillars to break up reflections. Naturally, Beatles producer George Martin and engineers Geoff Emerick and Norman "Hurricane" Smith took frequent advantage of the chamber. The track "And I Love Her" heavily featured the effect on the percussion and vocals. A similar chamber sits on the roof of Abbey Road, permanently wired up and ready for use. A third chamber, attached to Studio Three, was built in the 1980s and covered (except for the floor) in sharply angled mirrors. 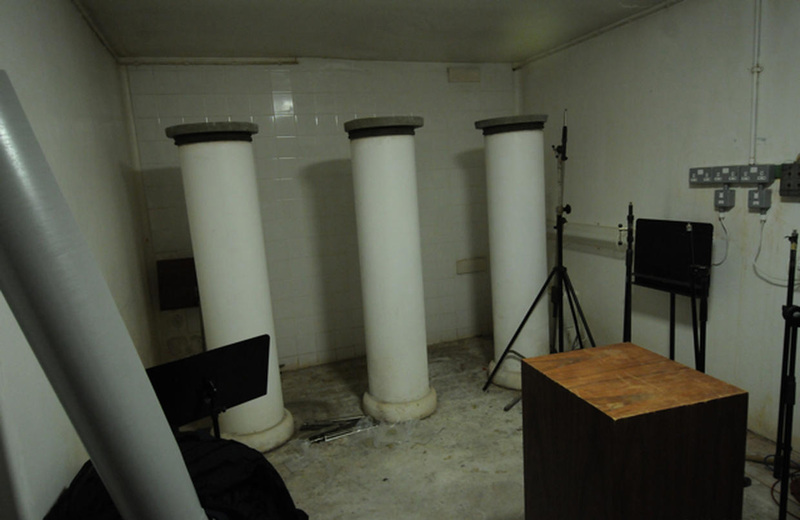 The pillared and mirrored rooms have been immortalized in Waves' Abbey Road Chambers convolution reverb plugin, which also models a famous stone room at London's Olympic Studios. The plugin even goes so far as to recreate Abbey Road's proprietary S.T.E.E.D. (Send, Tape, Echo, Echo, Delay) effect, which produces cascading washes of reverb by introducing delay and feedback into the system. The Beatles - "And I Love Her"
When EMI acquired Capitol Records in 1955, the music industry giant began construction on a new headquarters in Hollywood. Les Paul, one America's foremost recording experts, was brought in to consult on the design of Capitol's new recording studio. In addition to creating a world-class, acoustically tuned environment for recording and mixing the hits of the day, Paul helped create eight concrete echo chambers, built 30 feet under the building. Roughly trapezoidal in shape with no parallel surfaces, each of Capitol's chambers has slightly different dimensions tailored to produce different reverb characteristics and decay times, up to five seconds long. Capitol's echo chambers made headlines in 2008, when a petition was started to prevent the digging phase of a proposed development next to the building, in case it might damage or destroy them. The first recording to take place at the new studio was Frank Sinatra Conducts Tone Poems of Color, and over the years countless A-list artists have graced the facility. One such legendary act was The Beach Boys, who recorded their second album, Surfin USA, at Capitol Studios (among other facilities). Surfin USA marks Brian Wilson's first foray into production, when the true Beach Boys sound began to take shape. While instrumental surf bands relied on Fender spring reverbs, the Beach Boys took advantage of Capitol's echo chambers, which enhanced their double-tracked harmonies on the album's title track. Another of Brian Wilson's favorite Hollywood haunts, Gold Star Studios, was founded by David S. Gold and Stan Ross in 1950. But it's known best for the hits recorded there by legendary producer Phil Spector. Spector became famous for his "Wall of Sound" approach, which relied on dense arrangements and liberal double-tracking to create huge-sounding mixes. Reverb—specifically, the natural reverb from the echo chambers at Gold Star—was the mortar that held the "Wall" together. 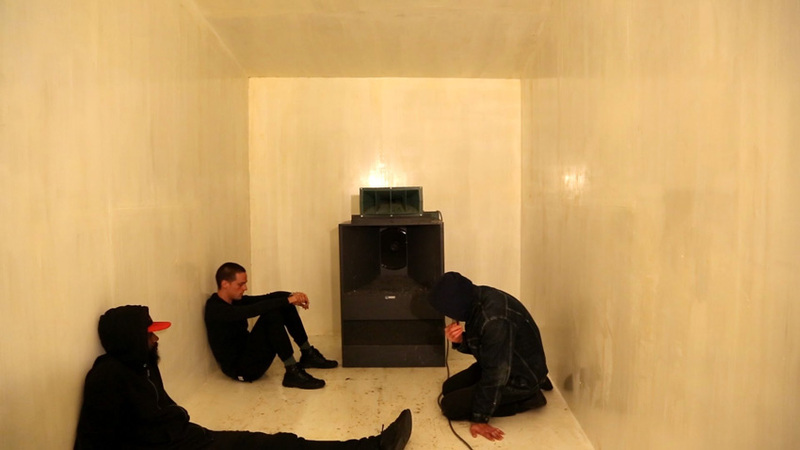 After a series of experiments including hallway reverb, spring reverb, and a bowl of Jello driven by a transducer, Gold decided the only way to get the perfect sound was to build a proper echo chamber. 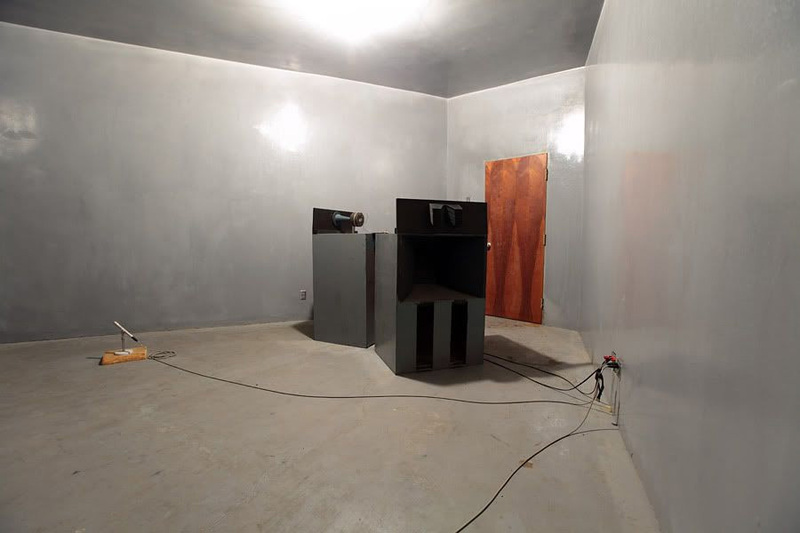 He constructed two trapezoidal rooms behind Studio A, coating the walls with two full inches of a cement/plaster mixture to increase reflectivity. Ten-watt amps powered 12" speakers in the chambers, and RCA 6203 ribbon mics were used for capture, giving the reverb a thick and warm tone without too much high-end. "Be My Baby" by The Ronettes is a classic Wall of Sound production, featuring percussion drenched in Gold Star's famous echo. The Wall of Sound's influence was far-reaching: Across the Atlantic, it caught the ear of a young Swedish engineer named Michael Tretow, who ended up working at Metronome Studio in Stockholm. Located in a former cinema, the studio (now called Atlantis Grammofon) has played host to artists as diverse as Quincy Jones, Elvis Costello, Lenny Kravitz, and The Cardigans over the years—though its most famous client was a little pop group called ABBA. When Tretow began working with ABBA at Metronome, the stars aligned: The group's larger-than-life pop demanded larger-than-life sound, and Spector's influence crept in. Tretow crafted iconic ABBA recordings by constantly double- and triple-tracking instruments and vocals, making use of varispeed tape techniques, and of course, liberal use of echo chambers. Metronome's chambers are larger than most—certainly larger than Gold Star's—giving them a fairly long decay time. The effect is especially noticeable on the song "Mamma Mia" from ABBA's self-titled album (panned hard left in the stereo mix). Before "The Motown Sound" became a household term, it started from rather humble beginnings. After an unsuccessful venture called The 3-D Record Mart (which sold jazz records and 3-D glasses), music entrepreneur Berry Gordy purchased a house at 2648 West Grand Boulevard in Detroit, Michigan, and set up shop there in 1959, turning the first floor into a studio and living on the second floor. The house would become Motown's main base of operations, even as the company bought up six more houses nearby for their administrative and publishing operations. Key to the sound of countless Motown hits was the iconic reverb of Hitsville's makeshift echo chamber located in the attic of the house. Hitsville's attic chamber was crude and not at all designed with acoustical perfection in mind, but its ambience had a certain character that came to shape the iconic Motown sound. Hitsville's echo graced many hits over the years, and it can be heard clearly on the foot-stomps in the intro to "Where Did Our Love Go" by The Supremes. Fun fact: after Hitsville was converted into a museum in 1985, a hole was cut in the ceiling leading to the attic, allowing visitors to hear the famous Motown echo by standing under the hole and clapping their hands or singing. Information about specific echo chambers is scant, and their usage on specific songs even more so. If you have any enlightening facts to add to the conversation, let us know in the comments.